Do you need home appliance repair in Calgary, Alberta? Would you like a local service provider you can trust? Our company operates our business with integrity. 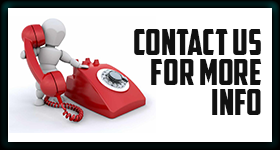 We are devoted to providing top of the line customer care. Our talented techs are experienced and thoroughly trained. If you want quality service, delivered quickly and affordably, choose us. You depend on your home appliances to work all the time. When they don’t, get in touch with Appliance Repair Calgary. We will fix the problem the same day you call. Why Choose Us for Home Appliance Service? We would be misleading you if we said we were the only appliance service company in the community. But we do believe we are one of the best. Our specialists are friendly, professional, and detail-oriented. We bring years of experience to every job. Our training program is rigorous and up to date with the latest technology. We are certified to service just about all laundry and kitchen appliances. We are qualified to install gas stoves, ranges, and ovens. Our experts will fix fridges, stoves, microwaves, and dishwashers. Call us for hassle-free home appliance repair. Our washer & dryer service is exceptional. 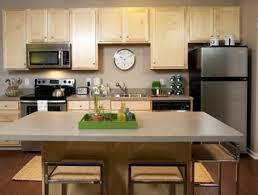 We offer same day appliance repair service. If the spin cycle in your washer stops working, give us a call. If your dryer won’t come on at all, call us fast. We will rush out to fix the issue. Our pros will rush out to fix a freezer or fridge that won’t keep the food cold. We will fix your leaky dishwasher or broken microwave. If we need replacement parts, we can get them from our truck. We keep plenty on hand. We are the best team for appliance repair. Choose our company for outstanding appliance repair in Calgary. We guarantee you will love the service we provide. Make sure your home appliances receive the most effective service possible. Get in touch with Appliance Repair Calgary today.